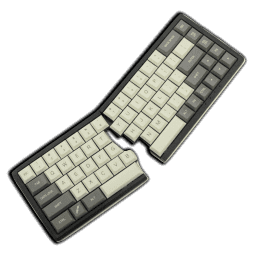 Mistel Keyboards, or simply Mistel, as will be henceforth referred to for convenience, made a debut in the TechPowerUp review vault with their MD870 SLEEKER keyboard late last year. 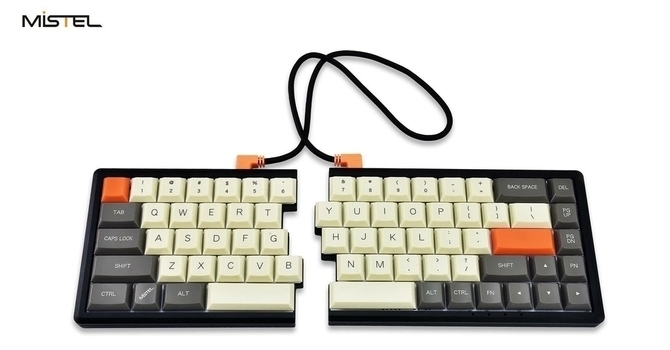 It was a 87-key TKL form factor keyboard that was a departure from what made them popular—the split keyboard design. This year, the company has indeed gone beyond even this to explore new realms with a fanless PSU that impressed our power supply editor. All this does not mean that Mistel is giving up on their forte, however, with our own review of the MD600 Barocco RGB keyboard from earlier this year being evidence of this. Indeed, if you fancied something mechanical, split, and novel at the same time, this review is for you. Today, we get to take a close look at the MD650L Barocco keyboard, and thanks again to Mistel for providing a review sample. As the name suggests, the Mistel MD650L, being part of their Barocco series, is split in design with two halves. There is no RGB or any backlighting support for that matter. Instead, what we have is a 68% form factor keyboard (Mistel calls this a 65% keyboard, which does match the name better) that is lower in profile (hence the "L" in the name) due to the use of the Cherry ML mechanical switch. In a world where keyboards with the newer Cherry MX Low Profile switch are still not out in full force (CORSAIR appears to be the first at this time), Mistel took a brave approach by going with a low-profile mechanical switch from Cherry the latter seemingly do not seem to be very invested in. Mistel could have gone with other vendors, including Kailh whose low profile switches have been out in retail products for over a year now, but the Cherry brand name still carries a lot of weight in this market. We begin our review, as per usual, with a look at the product specifications below. 0.92 kg / 2.03 lbs.